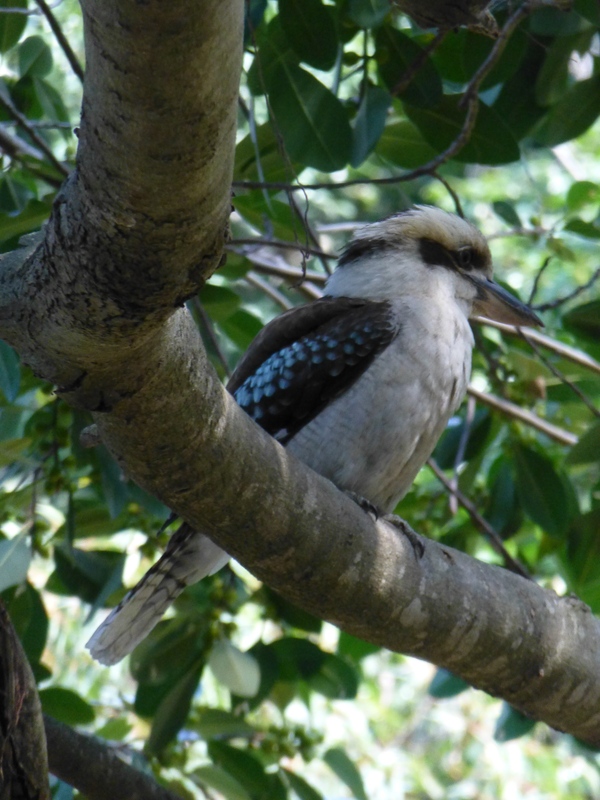 This Kookaburra certainly seems to have me and my camera firmly in his sights. Is he posing? Certainly he’s making it easy for me to capture his image. The more I photograph birds, the more I see their differing characteristics. 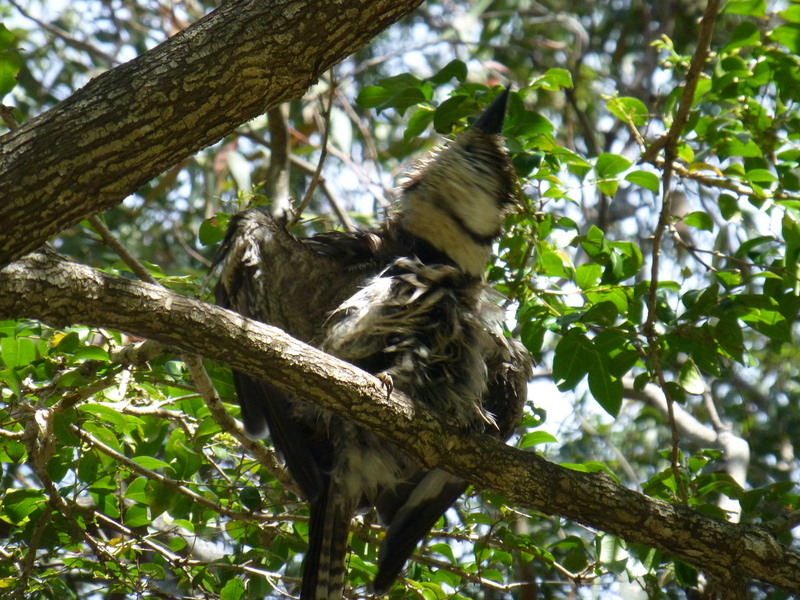 Some, such as Kookaburras, Herons and Sulphur-crested Cockatoos, actually seem to co-operate with the photographer. Others — Willy Wagtails, Noisy Miners and Wrens for example — often fly off at the slightest movement. 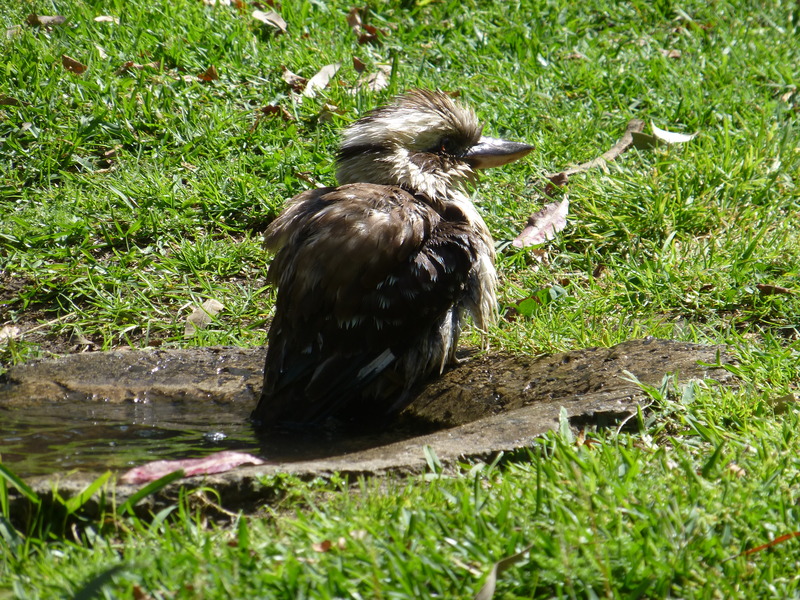 It seems to me that kookaburras love bath-time. Quite often I see one splashing around in a water-bowl in the park. But wetness cannot be a permanent state for them. 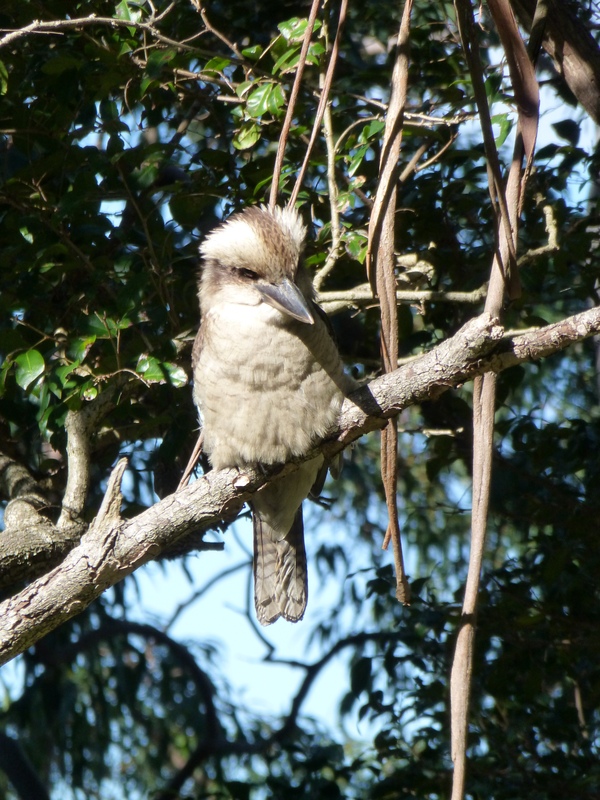 Few birds make their presence felt more than Australia’s Kookaburras. Often they can be heard loud and clear, well before they are spotted. They have adapted well to the humans who love to picnic in the Park. Sometimes, they even land on the picnic table and help themselves to a piece of tasty sausage. 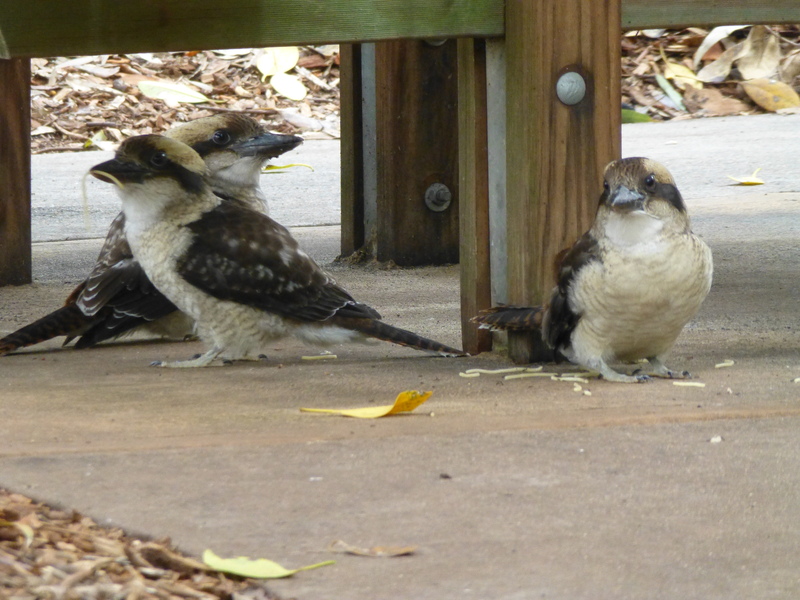 On other occasions they gather in small groups, waiting expectantly for a handout. 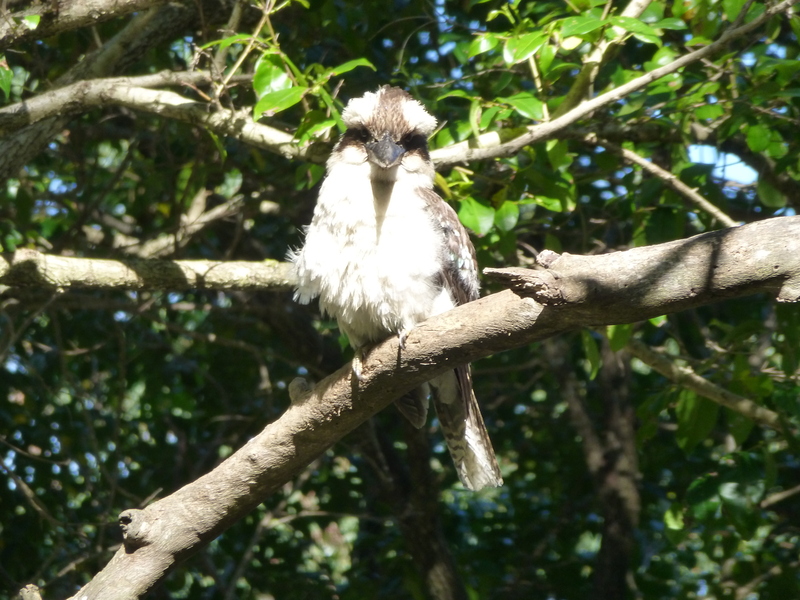 But this particular Kookaburra seems to have other things on his mind. Such wise and amazing birds! 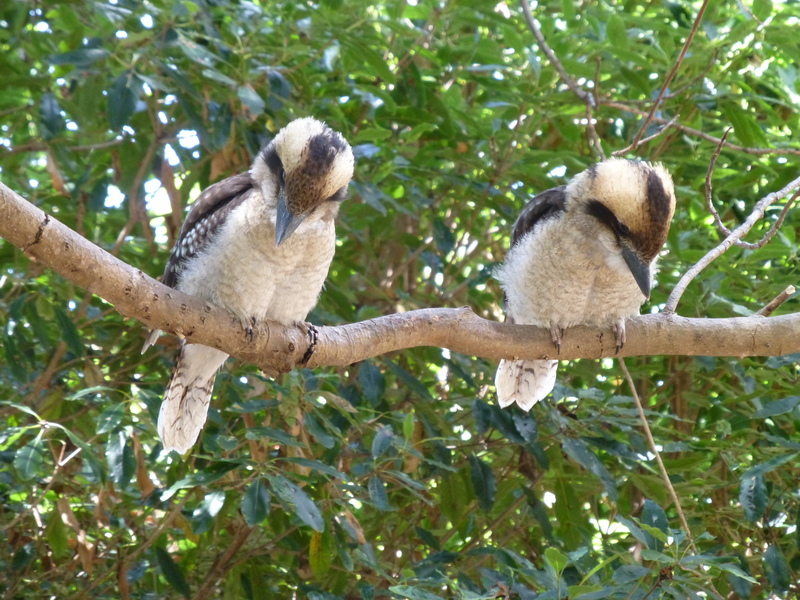 I’m certain that’s the thought that’s running through the minds of this delightful pair of Kookaburras. Are they a courting couple? I simply don’t know. 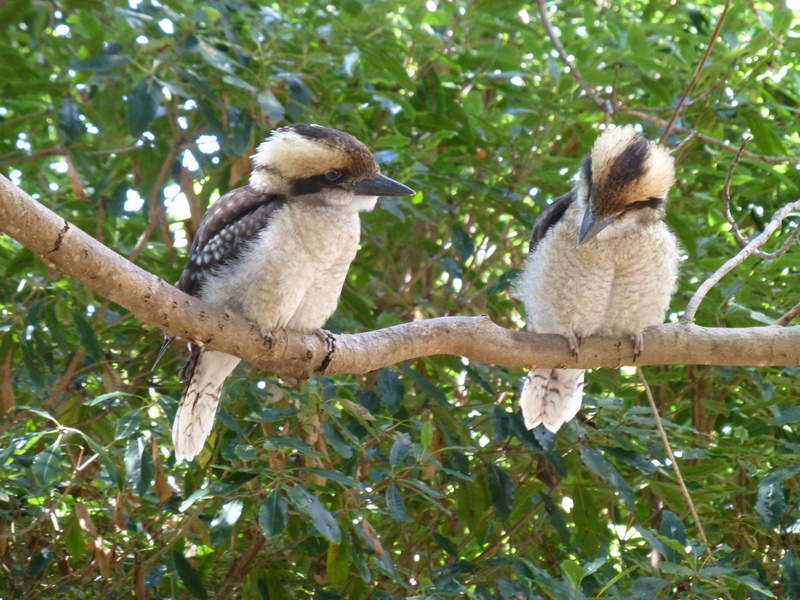 But this pair of Kookaburras seem to me to be in a reflective pose…..
Much of the time, kookaburras seem to be solitary creatures, but now and then they cluster together. My guess is that, on this occasion, someone had left food scraps behind, and that the birds were making the most of them. Whatever the reason, I think a group makes a lovely sight, don’t you?